Of course we know the C64 mode has the lt blue on blue w/lt blue border. I'm sure no decisions had to be made about that, but in the 128 mode there were two default screen colors: light green on dark grey with a lt green border for the VIC screen, cyan on black for the 8563 screen, and in the CP/M mode it was purple on black for both 40 & 80 column screens with a brown border on the 40 col screen. I thought it was interesting that there were two different color schemes for the C128 mode, depending on which output you select. I think they're pleasant to work with. I was not really a fan of the light purple on black in the CP/M mode, though. (Something I quickly modified as a child by customizing my CPM+.SYS file to match the cyan on black of the C128 mode, but presently I have done white on black for CP/M). Whatever the scheme, like the TED series, there was a nice contrast between the character colors and the background colors so that text was easy to see, unlike the C64 mode where light blue-on-blue was a little harder to read. SPEAKING of which: I think I read something somewhere where the C64 VIC display had so much "sparkle" that they chose the dark blue to hide the sparkle. I think, too, that Bil corrected the sparkle on the 128? I think I read something like that. That's a cool story. Who knew CP/M was green at CES '85! I love the story how Von Ertwine whipped out a disk editor to update CP/M for the current 8563 of that time. Fred and Terry keeping a close reign on those reviewing their work was a wise decision. 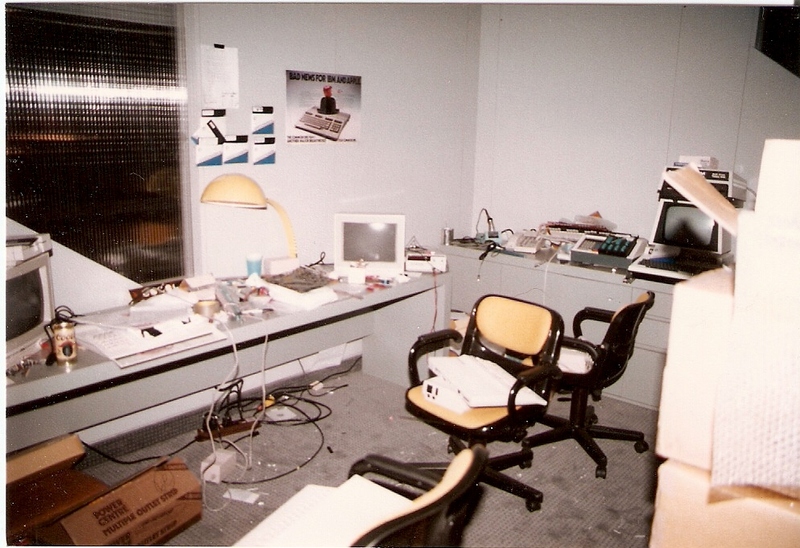 So, at CES '85: was it you guys (you and Fred, Terry, Von, Dave and Frank) actually at the keyboard demonstrating the 128 or were you guys there to supervise keeping the chips from melting and the voltages at an optimum level? I wish there were pictures of the demonstrations! That would be golden! They were still bringing working VDC's to us even as the show opened, people would report in to our assembly room that was supposed to be a marketing meeting room (Our booth was so big it had a second floor) with one or two VDCs that had just passed testing half a day earlier and we would install them. Then the other adjustment was that we would walk around with a tweak tool and for systems running multicolor character mode (VICII) games we would teak the voltage down and for VDC based we would tweak the voltage up. Then some of the VDCs had a text screen that was light on dark and some dark on light. We had built little pull-up and pull-down modules to sit on the output lines that made them pull up or down faster totallly abusing the max current max power ratings of the chip.